The Little Mermaid in Copenhagen often ranks as one of the most most disappointing attractions in Europe. I don’t know about that. Afterall you are forewarned that it’s going to be little. 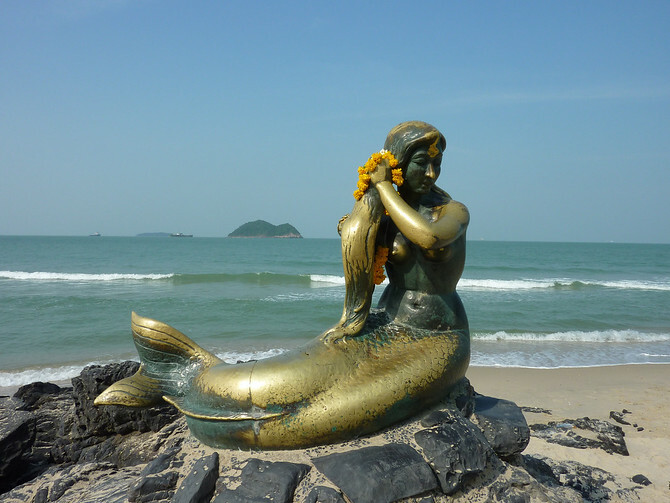 If you were one of those people who felt let down by the Little Mermaid then maybe you should come to Thailand. 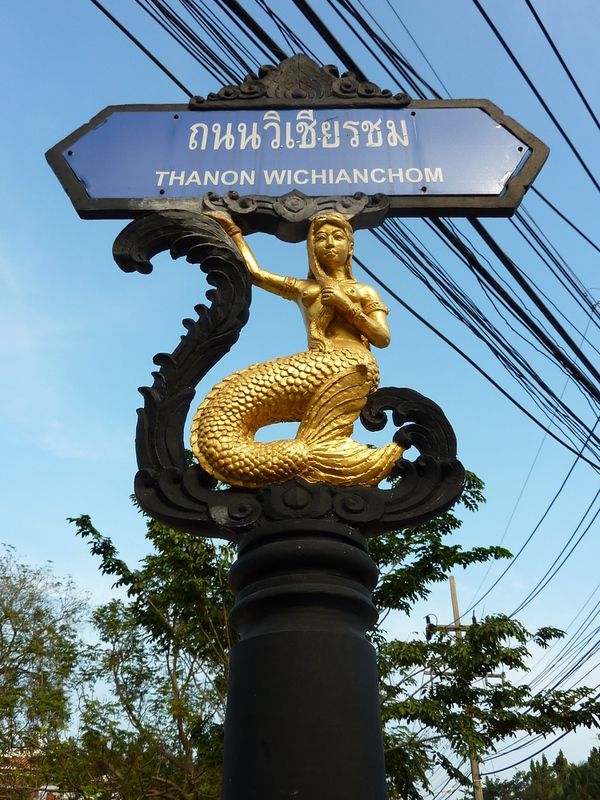 In Songkha, in the deep south of Thailand, there is a mermaid you might be interested in. She is the Golden Mermaid. She is a full grown woman of a mermaid and it is even possible to sit on her lap. Legend has it that if you rub her breasts you will have good luck. Judging by her well worn bosum many have been before me to top up on luck. Me, I never pass up an opportunity to top up on luck, so how could I not. She has become the symbol of the town and is even featured on the streets signs.